Nicola Festuccia recently joined the Institute to start the new Regulatory Dynamics and Cell Identity research group. We talked with Nicola about why he first got involved in stem cell research, the group’s current work and aims for the future. Pluripotent stem cells have a unique capability to differentiate into almost any cell of the body, giving an exciting potential for clinical therapies as well as a tool with which to study the development of organisms. Understanding how stem cells maintain pluripotency and differentiate to form the various cells of the body is essential for the development of future applications of these cells. The identity and function of different cell types is determined by the combination of genes that are ‘switched on’ in a cell, regulated by transcription factors. The new Regulatory Dynamics and Cell Identity research group at the Institute led by Nicola Festuccia uses mouse embryonic stem cells to study how transcription factors interact with the genome and reshape chromatin to regulate genes during development. In particular the group are interested in how these transcription factors maintain the identity of pluripotent embryonic stem cells and trigger the early stages of cell differentiation. Nicola first became interested in stem cell research when studying for a Masters in Bioscience Enterprise at the University of Cambridge, where he specialised in commercial stem cell companies. Becoming more interested in the science behind these companies than the business, he went on to complete a PhD at the MRC Centre for Regenerative Medicine in Edinburgh in the Embryonic stem cell biology research group led by Ian Chambers, the co-discoverer of Nanog, a transcription factor critical for the renewal of embryonic stem cells, an extremely exciting discovery in the field that inspired the continuation of Nicola’s research in this area. 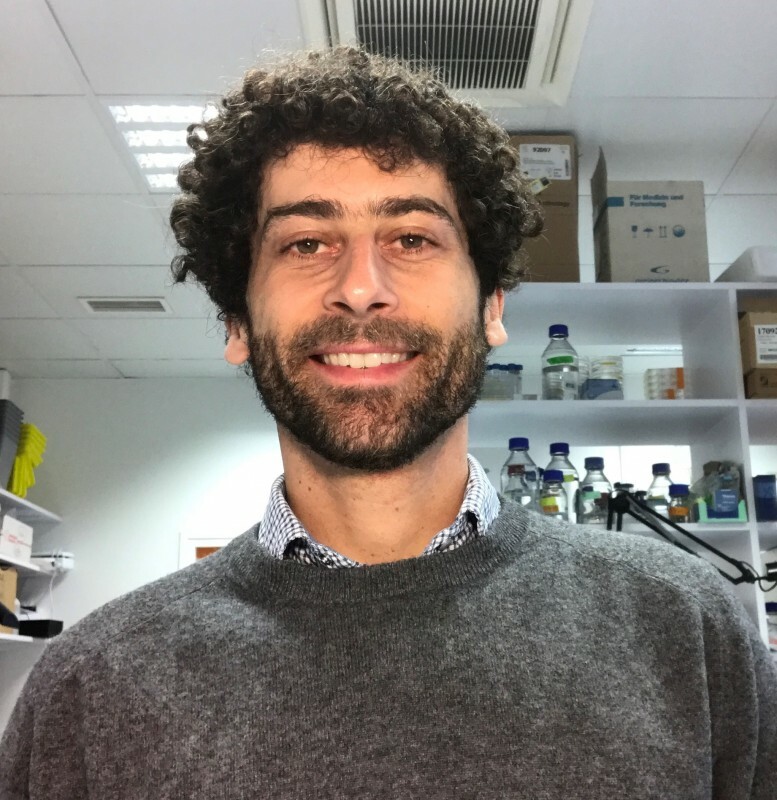 Nicola went on to hold a post-doctoral position at the Pasteur Institute in Paris, where he continued research into the mechanisms of Nanog and other transcription factors for regulating gene expression in stem cells. Whilst at the Pasteur Institute, Nicola’s main area of research was studying a key Nanog target gene named Estrogen-related receptor b (Esrrb), finding that expression of Esrrb is an important factor for maintaining the pluripotency of stem cells. Nicola also collaborated with Head of Germline and Pluripotency at the MRC London Institute of Medical Sciences (LMS), Harry Leitch, on a paper that came out at the start of this year that revealed a surprising new role of Nanog. Find out more about the Regulatory Dynamics and Cell Identity group.